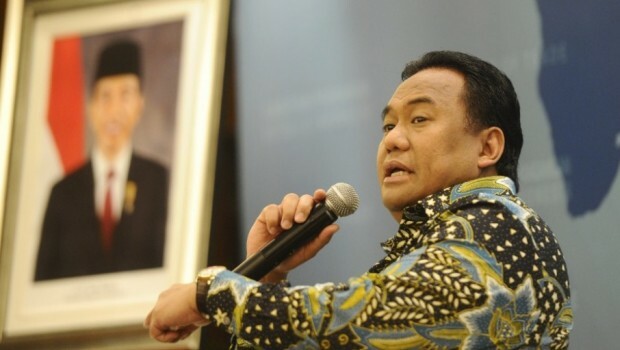 Bekasi-Trade Minister Rachmat Gobel has target to increase motorcycle exports untill one million units within five years, currently in the range of 100,000 units. “In five years, I want to target approximately one million, two million units that can be exported,” he said when delivering a speech in the event Export Prime Suzuki Address in Bekasi, West Java, on Friday (27/2). Rachmat said, the production of motorcycle in the country approximately 10 million units currently, in the future, as much as 80 per cent are destined for the domestic market and 20 percent of the rest for export. “Currently, 100,000 new export only, if increasing of 300 percent was too small numbers. So if the future economic growth of 7 percent, and adding infrastructure, I think it natural that the total exports by 80-20 percent in the country, “said Rachmat. For PT Suzuki Indomobil Sales division Motorcycle, conduct initial export products Suzuki Address to 24 countries in Europe include Italy, Germany, the Netherlands, Sweden and France. In addition, Japan, and Oceania. Rachmat said, what has been done by Suzuki Motor right now is one of the government’s policy response, so that Indonesia could become the basis of the automotive industry, in particular motorcycle. “Not only for the domestic market, but also to overseas markets,” said Rachmat.